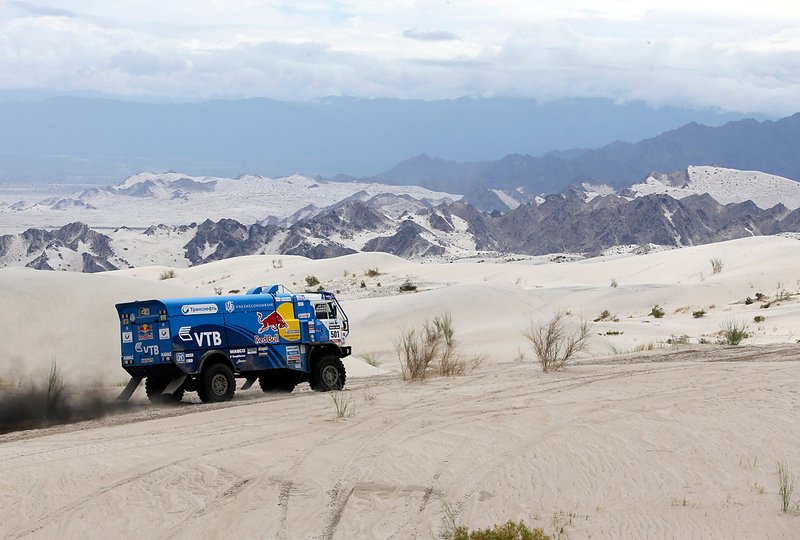 Russia's Eduard Nikolaev, co-pilots Sergey Savostin and Vladimir Rybakov compete with their Kamaz truck during the 11th stage of the Dakar Rally 2013 from La Rioja to Fiambala on Jan. 16, 2013. A prototype driverless system made for KAMAZ trucks will be operational early next year. Moscow-based Cognitive Technologies said it's ready to release a pre-commercial version of an advance driver assistance system with artificial intelligence, or ADAS, for Russia's KAMAZ truck. ADAS qualifies as Level 1 according to the Society of Automotive Engineers (SAE), which means that it can detect road signs and warn about a possible collision with another vehicle or pedestrians, as well as easily change lanes. This is only the beginning, and the system will be improved. "We plan to release the complete version of Level 1 ADAS by early next year," said Olga Uskova, the CEO of Cognitive Technologies. "It will be a prototype that can be industrially produced at the end of 2017." Cognitive Technologies and KAMAZ launched the project in Feb. 2015, and their goal is to create a fully driverless truck by 2020. The company's system seeks to provide automatic operation of transport in all weather conditions, and to be able to recognize pedestrians wherever they might be. The time allotted to detect danger and respond will be no more than 0.3 seconds. Also, the system will be able to detect practically any obstacle, including animals such as dogs.